Credit card interest rate is often the most important factor when you’re choosing a credit card. 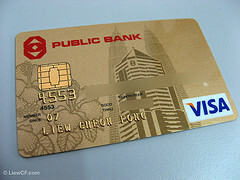 You’ll notice that many credit card advertise a range of APRs, for example from 9.9% to 21.9%. The credit card issuer decides your interest rate once they’ve checked your credit history. If you have a good credit score, you’re more likely to get the lower interest rate, which means you’ll have lower finance charges on balances you don’t pay off. Your credit limit controls how much you can charge on your credit card. Your credit score is one of the factors that creditors consider when they decide how much credit limit you’ll get. The better your credit score, the higher credit you’ll qualify for. Your income will also have an impact on the credit limit you get. Just because you qualify for a high credit limit when you get the credit card doesn’t mean you’ll keep it. If your credit score drops, the credit card issuer might also drop your credit limit. Credit cards that offer great rewards also require you to have great credit to qualify. You’ll find that credit cards with the most points or the highest percentage of cash back will also look for you to have an excellent credit history. Without a great credit score, you’ll probably be denied for credit cards that offer rewards. If you have bad credit, you may have to accept some bad credit cards before you can get approved for the good ones. Use those credit cards that cater to borrowers with bad credit to improve your credit history; they’re probably all you qualify for right now. After several months of timely credit card payments and responsible charging, your credit score will improve. With some time your credit score will be high enough to qualify for the best credit card deals. Credit Score Increased. Are You Ready for a New Credit Card?